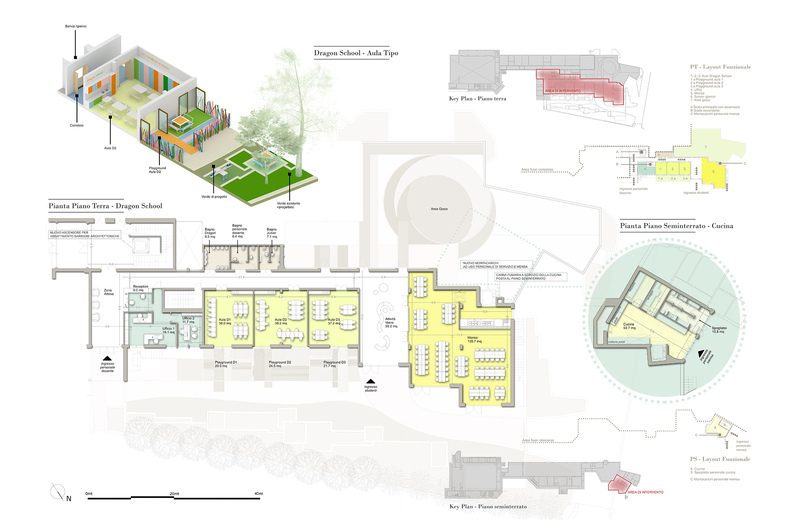 Having acquired a long-lasting work relationship with the School throughout the previous years in the main campus of La Storta, Architect Benedetta Gargiulo Morelli had the honour to be appointed as lead interior designer and furniture consultant for the new primary school campus. 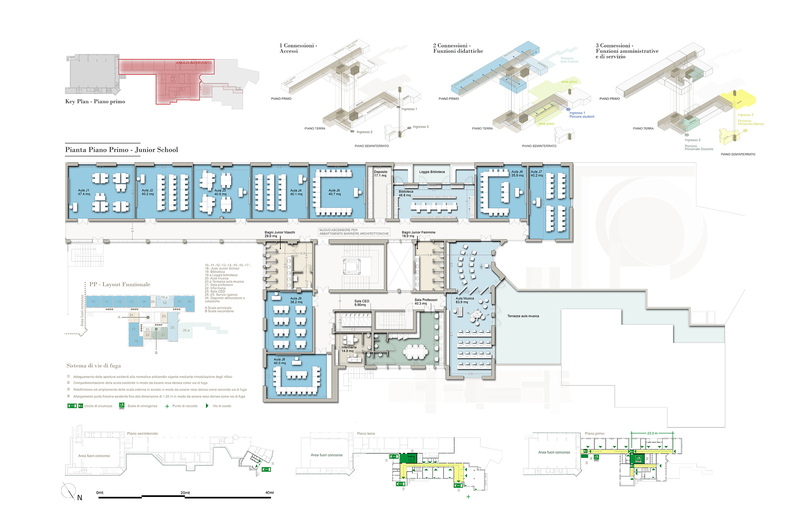 The refurbishment completion consisted in the entire interior design project and furniture supply for the new 1500 m2 campus facilities to create a state-of-the art learning environment. 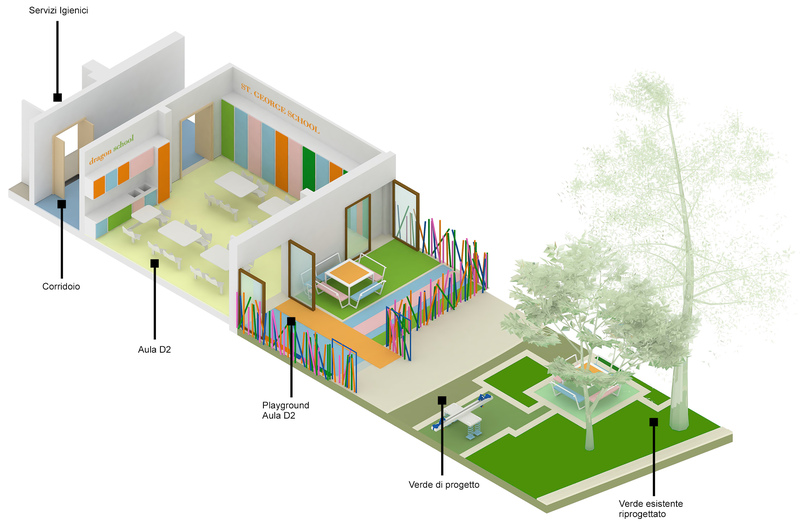 It is always very challenging to refurbish an existing building and we had to start from the new educational layout we wanted to establish. For this purpose, we studied together with St. George’s Board and Professors, the philosophy of Professor Stephen Heppell, an English educator and guru who specialises in the use of ICT in education, and the range of ingredients for transforming the performance of schools and other learning institutions. The concept that we formed during our research was to integrate the educational process in all spaces, both in an academic and in a playful manner. 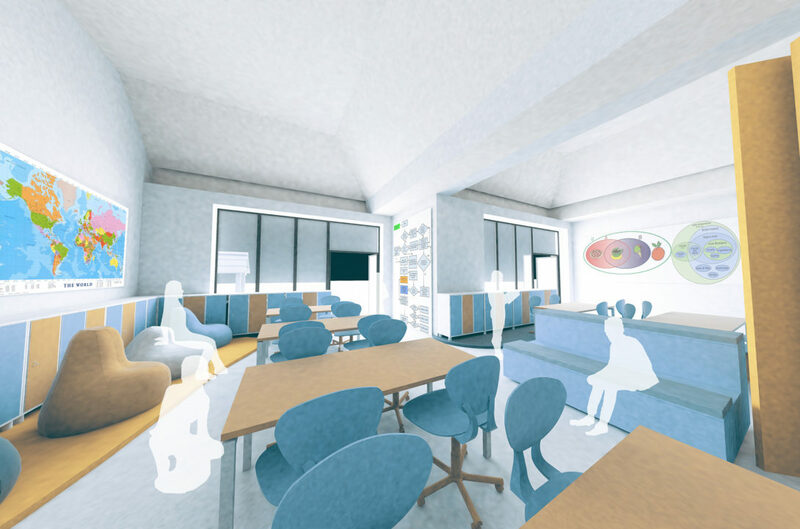 Our goal was to design a dynamic and flexible space that encourages the learning process and makes it, thorough its design, much more interesting and exciting. 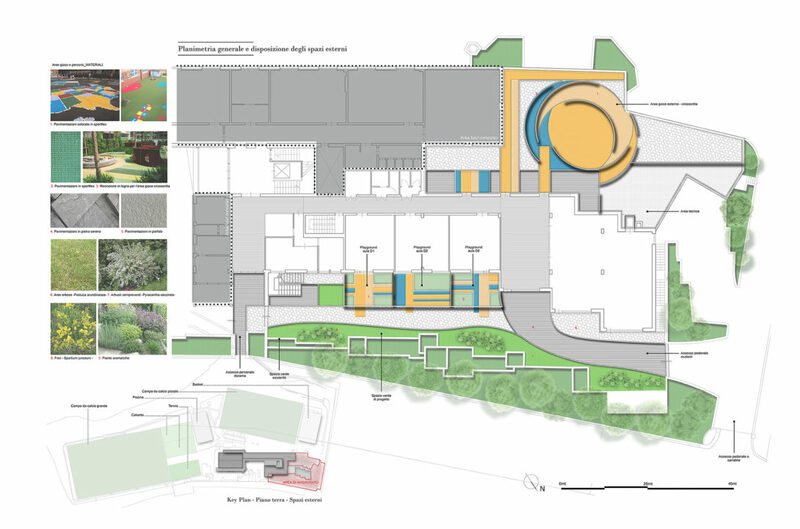 Each classroom is designed to have аn external educational playground areа in direct contact with the outdoor spaces through its wide south-facing windows. Using white paint that emits light inside makes the space much brighter and light. 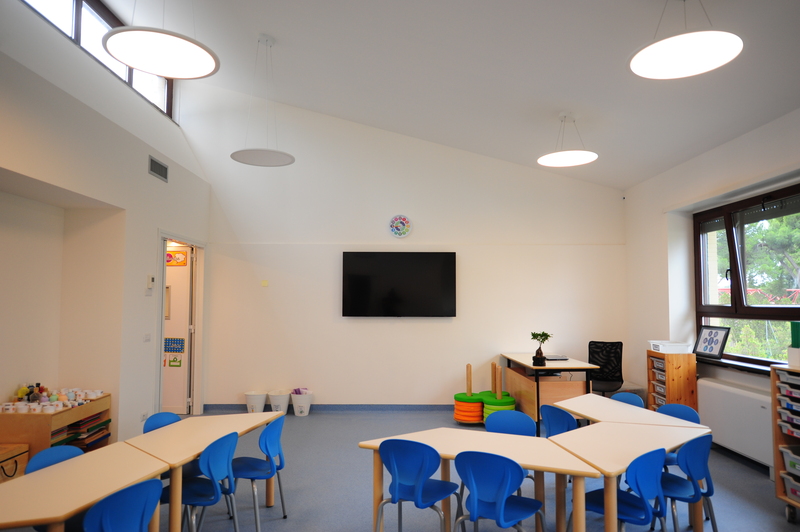 The classrooms are flexible and adaptable to different teaching functions, with areas dedicated to interaction and tactile experiences. 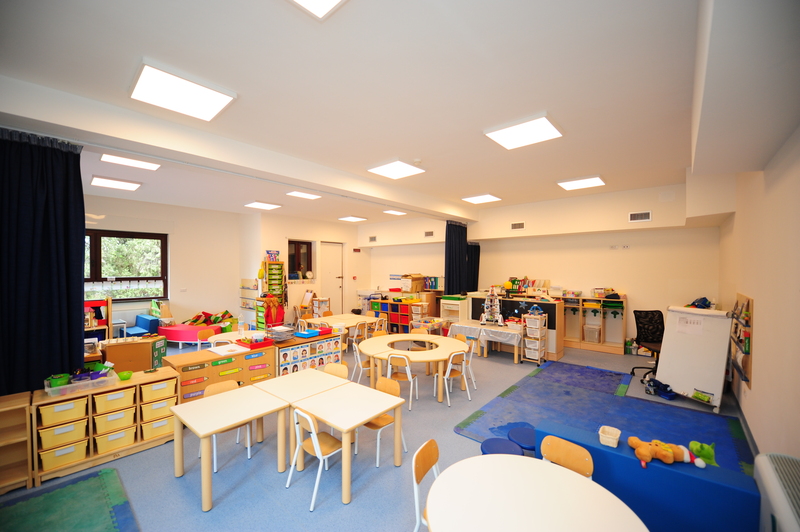 The PVC flooring guarantee greater safety for children. A special attention is given to the use of educational plants to transmit environmental fundamentals and spread biological awareness. 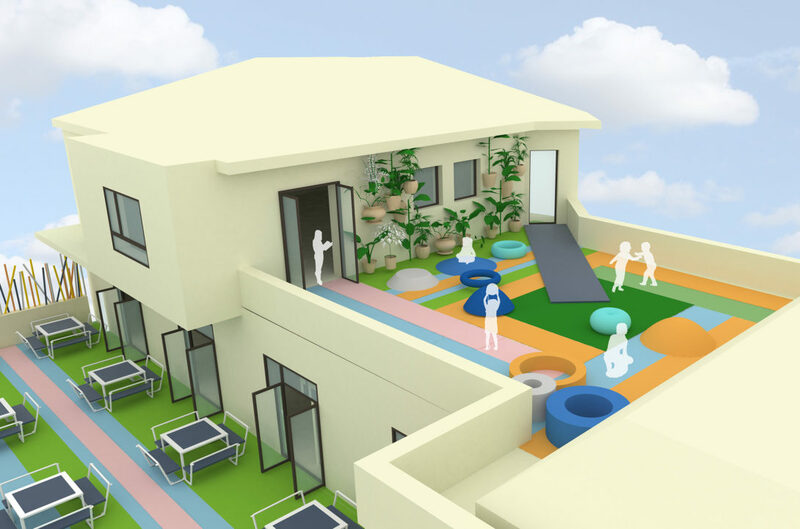 The ‘Dragon Primary Classrooms’ sit on the upper floor with its private playground area on the terrace. 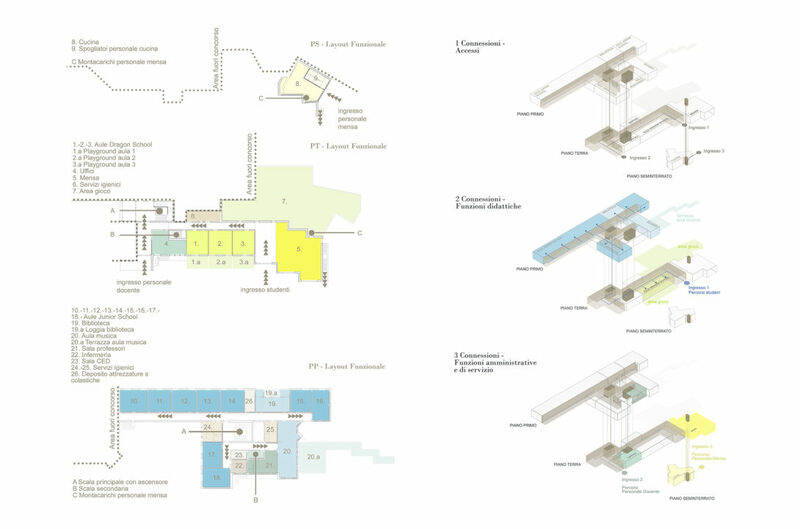 Maximum security, open air spaces and daylight is guaranteed for the students in all the spaces. 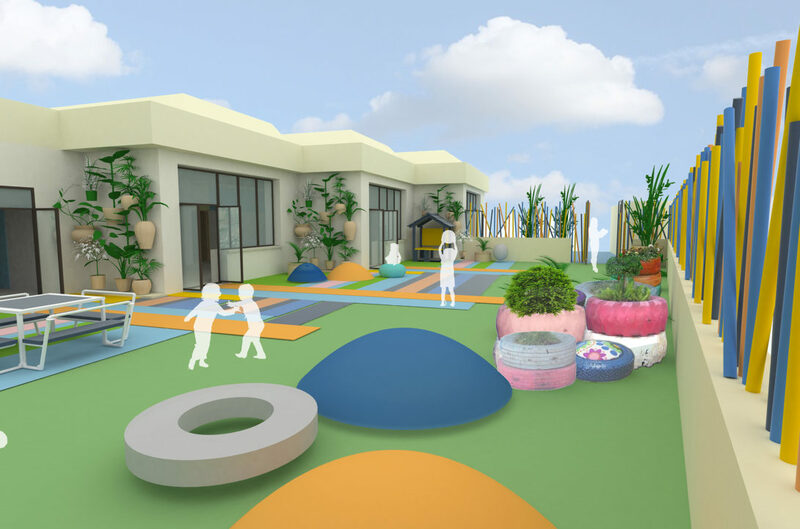 The external and internal flooring are made of anti-shock rubber soft pavement to allow maximum security and playful areas for the children. Synthetic grass is used for recreation areas. 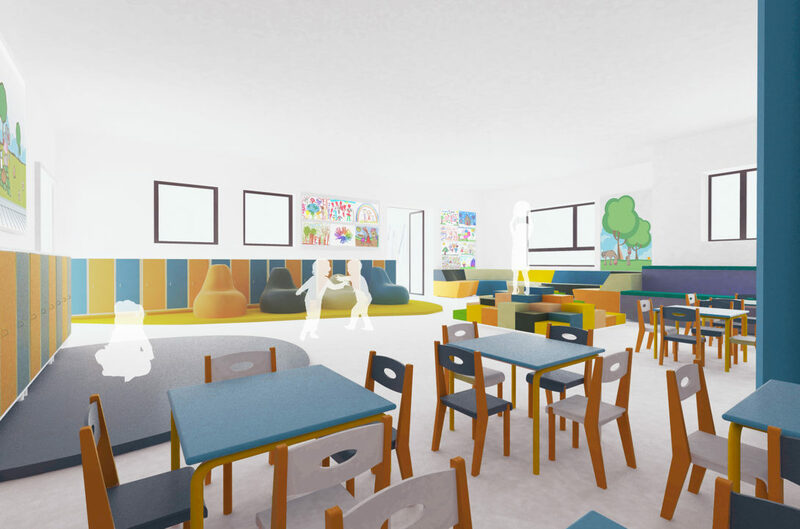 Soft, flexible and colorful furniture is introduced within the learning environments to enhance children movement and imagination during academic hours. Complimentary to traditional desks. The walls are custom decorated with pictures and images for each classroom – the children are key players to decorate them! The furniture is colorful and functional at the same time. There are dedicated lockers in each classroom. 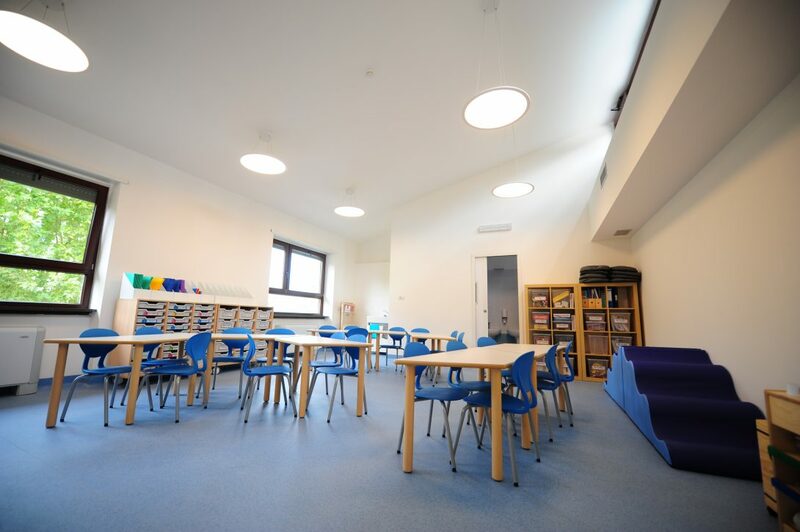 In the public spaces there are various flexible seating options that can be easily modified from the kids. The works have been completed on time to ensure the opening of the school in September 2017 for the new academic year and the Official Opening Ceremony of St. George’s British International School, City Centre took place on the 27th October 2017. 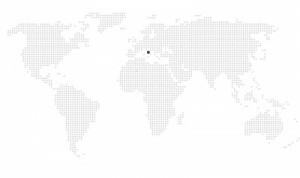 The ribbon-cutting ceremony was conducted by Ms. Jill Morris CMG, Her Majesty’s Ambassador to the Italian Republic and Her Majesty’s non-resident Ambassador to the Republic of San Marino and Michael Barber, the Head of St. George’s City Centre. 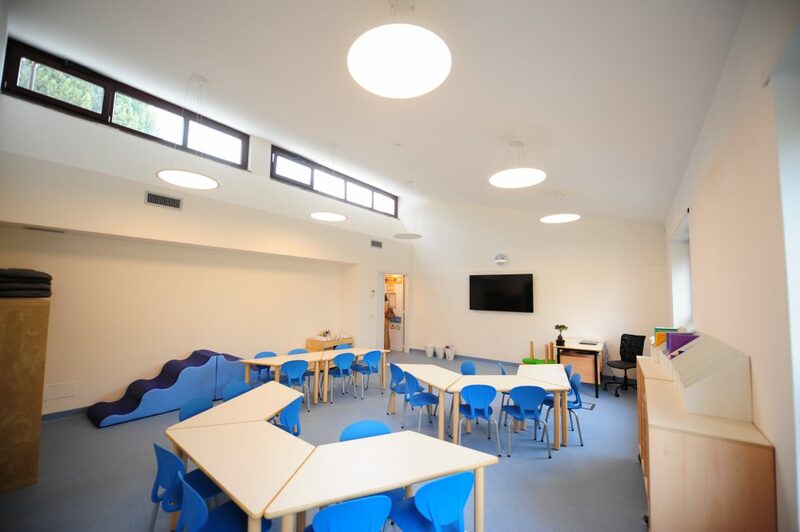 Architect Benedetta Gargiulo Morelli and her team have been publicly thanked for the successful refurbishment completion that ensured an innovative and at the same time on budget and on time state-of-the art learning environment.